Illustration of a toll gate on Jericho Tpke. 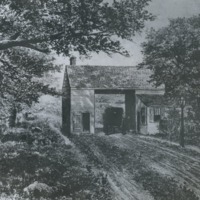 Illustration of a toll gate on Jericho Tpke., near Bellerose. A carriage is stopped at the toll gate.